Hi, I’m Ryan Woods, owner of Garage Service Pros, and I want to thank you for choosing our services. We are a family owned and operated local garage door repair and service company. We are pleased to be offering garage door installation, repair, and maintenance services to residential and commercial customers. At Garage Service Pros, we offer a personalized approach to all our services. With trained technicians, fully equipped vehicles, and a reputation for excellence, we are considered one of the best companies in the area for quality garage door services. We have what it takes to guarantee 100% satisfaction for our customers. At Garage Service Pros, we are all professionals. From our own customer service team who answers your calls to the service technicians who handle your requests. You will always be greeted by courteous and knowledgeable customer service professionals who understand the need for speedy and efficient service. And you can rest assured that our garage technicians are never sub-contractors. 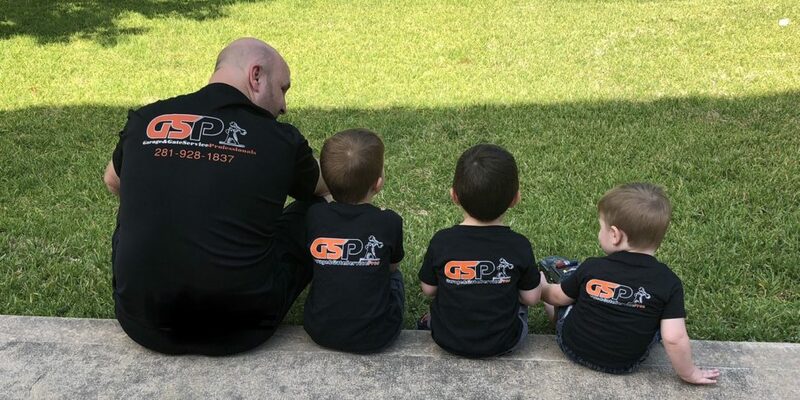 They are all fully trained, experienced, and equipped to handle your garage door problems with fast and effective solutions that keep your doors operating for your safety and convenience. When you are faced with an emergency, it gives you peace of mind to know that help is only a phone call away. Don’t get left with a broken garage door over the holidays or long weekend. We pride ourselves on offering quality same day service and 24/7/365 emergency response for your garage door needs. Quality comes at a cost. But, it will never be at a rate that you can’t afford. With Garage Service Pros, you will never be left with a gigantic bill at the end of a service. We will always discuss your options and cost beforehand and you get to know exactly what will be done and what your commitments are. Our vehicles are always equipped with high-quality parts to ensure that we can do the job properly at the first go. We never compromise on the quality of our workmanship or parts because we are dedicated to making sure that you are happy with the end results. Enhance your home appeal. Take charge of your safety and security. Schedule your garage door installations, repairs, or maintenance with the expert team at Garage Service Pros. Call us 281-928-1837281-928-1837 today.